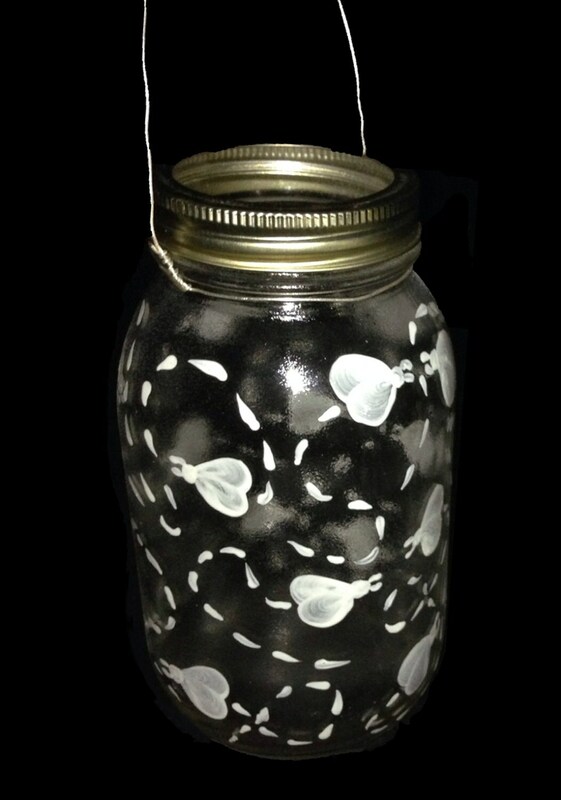 This 32 oz canning jar is hand painted with Glow in the Dark paint. The fireflies are trailing to seem like they are buzzing about this beautifully design Garden Lantern. This is a practical piece of art and can be used on a regular basis to enjoy as living art in motion. This lantern is 100% hand-painted using quality acrylic enamel paints and are cured resulting in a scratch-resistant, high-gloss finish and sealed with UV clear coat sealer. It is signed by American Artist Penny Russell. Hand wash only to preserve as a lasting heirloom.